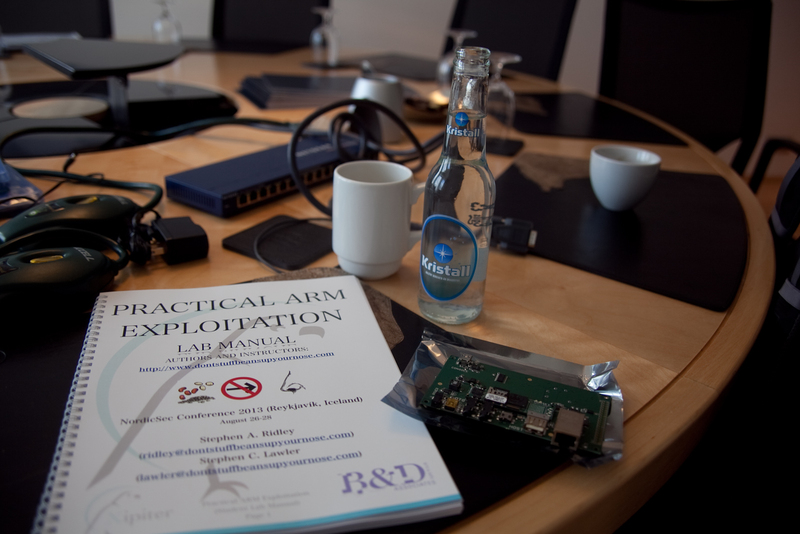 We took our “ARM Exploitation” course to Iceland at the request of old friends. We’ve long admired some of the Iceland guys, so we decided to go. 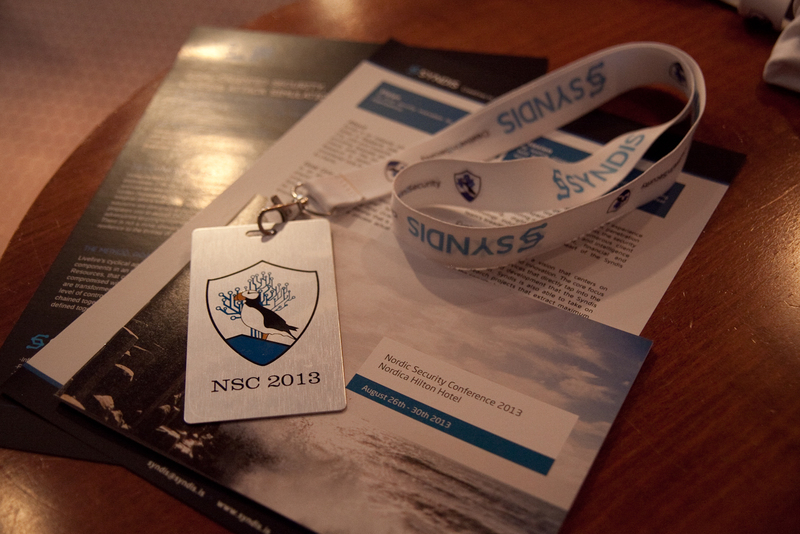 NordicSec was a small conference but pretty dense in talent/skill. Our class was small but that was to be expected. It was great though to see so many old friends. It was also nice to once again see Stephen Watt’s keynote (that we were fortunate enough to see at Infiltrate 2013). We also “sponsored” NordicSec which was kinda cool. We didn’t take many photos on this trip and were so bogged with work that we didn’t get a chance to do any sightseeing. But we did get a chance to eat horse steaks, whale meat, fermented shark, and drink Brennivín, Bjork liquor and some pretty good Icelandic beer. An abridged gallery is below, and an un-captioned photo gallery is over at Smugmug. Our nameless sponsorship in the lower right.